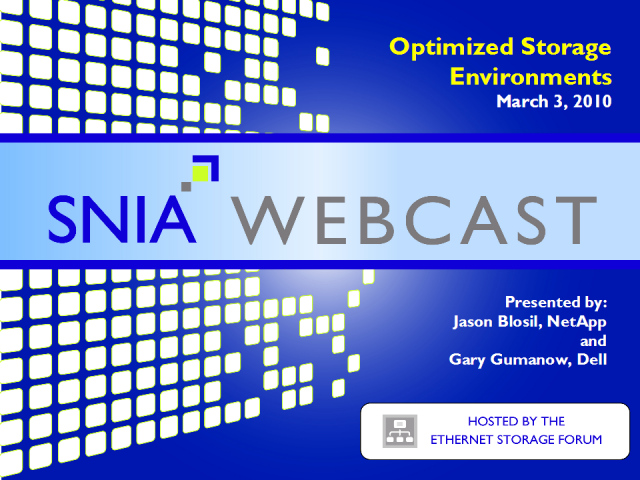 Building on our previous webinar, this is the second in a series of webinars to discuss the benefits of implementing Storage Area Networks (SAN)s based upon iSCSI. In this session, we will discuss the advantages of deploying iSCSI SANs within the context of current data center trends such as server virtualization, storage efficiency and scalable architectures. We will use customer case studies to illustrate successful, real-world implementations.